An optical biosensor for the determination of catechol, a widely used yet toxic and carcinogenic molecule, is proposed using a crude extract of desert truffle (Terfezia leonis Tul.) as an enzymatic source of tyrosinase. 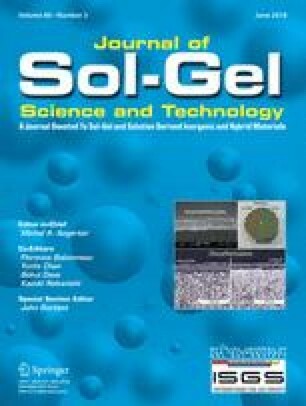 The biosensor is constructed by the immobilization of tyrosinase crude extract in a bi-layered silica gel film prepared by dip-coating of an alkoxide/colloidal silica solution containing the enzyme on glass slide. Encapsulation has a moderate effect of the enzyme optimal pH stability but largely increases its thermal stability. Immobilized enzymes have a higher substrate affinity towards catechol but smaller maximum conversion velocity. The optical biosensor provides a linear response for catechol in the concentration range of 50–400 µM and a limit of detection was 52 µM. AFM studies show that the enzymes impact on the silica gel structure, preventing further deposition of additional layers. Comparison with similar dopamine biosensors points out that the impact of encapsulation on enzymatic activity may depend on the considered substrate. The authors thank Dr Marco Faustini and Dr Christophe Depagne (LCMCP) for AFM experiments and Dr. Cédric Boissière (LCMCP) for ellipsometry analysis. We would also like to thank Pr. Aziz Amine for her careful proofreading and copy-editing for grammar.